← Print Or Send Out? In todays world with all of the technology that we have in our pockets it makes me think about one thing that is really outdated. I wonder why retailers have never moved to paperless receipts or are they leaning that way? I know this comment will not make me the most popular in the world. Most people today have an email address. If the retailers have our email address which most of them do, why can’t they just send our receipts via email after we check out? Now let me tell you about one that does. We have a home improvement store in the USA called Home Depot. I recently shopped there and at the end of the check out I was asked, Paper or Paperless Receipt or Both? I choose, of course paperless receipt and before I could bag my goods I received an email with me receipt. Another way to manage all of your receipts is to use an app on your smart phone. I really like using CamScanner. You can download this app for the IPhone and Android phones. It allows you to use your phones camera to capture a picture of the receipt. 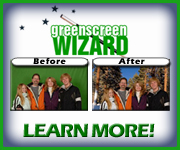 The software then cleans up the image and crops it. You can then save it into a free DropBox account. This entry was posted in Computers, Gadgets, IPhoto, Software, Technology, Thoughts and tagged Emails, Paper, Paperless, Receipts, Scanners. Bookmark the permalink.